1. Long for the darkness of night—to enter the cavern of the unseen—to feel the essence, the melancholia, the mysteries, the deepest of wisdom, the primordial power, and everything that is—Satan. 2. Make it your greatest priority to know yourself; as only by doing this, can you become all that you were meant to be. 3. When you encounter defeat, rise a stronger person. The control that people have over you is only what you give them. Take your power back! Satan has taught you to wield your sword—now wield it. 4. Those who torture animals will have Belial's wrath descend upon them. They cannot hide; not in this life or the next, nor should they expect anyone's protection. They will get what is coming to them. 5. As the snake slowly coils around your body, you shiver as it infuses you with its energy. It tightens its grip, and your heart beats in sync with the snake's every vibration. Your eyes meet, and your mind is consumed with visions of lust and destruction, and for the first time, you experience what it means to be free. Initiation has begun. 6. Chosen one of Satan, be aware of the Raven who sits on your shoulder whispering words of wisdom. Don't neglect what He communicates to you, but treat every word as a gem. 7. If someone denies you, then deny them. Don't continue to allow a person to harm you, especially when they have already stated their position. Rise above! Become like a wolf, and see them as the sheep they truly are. They are not worth your time or energy. 8. Foolish is the person who believes they can subjugate an ancient entity of unmeasurable power—with a metal figure on two sticks. 9. You will be led through the flames, yet it is how you exit that will reveal the depth of your soul. 10. Do judge a person for what religion they have chosen to follow. Once they have reached the age of accountability, it is their choice whether to continue to follow the lies and violence of the tyrant god, or turn away and embrace freedom. 12. If you are going to make a promise to Satan—keep it. Don't make the mistake in thinking that because you performed a dedication years ago as a teenager, that it is not still valid in your fifties. Oaths are eternal. 13. Keep in mind where your occult knowledge comes from. Don't be like those who ask assistance from the Demons only to take and forget—or even worse, dismiss them as if they were nothing but servitors. The future is bleak for them. 14. Keep silent—or be prepared for your deepest of secrets to be revealed to all. 15. Allow the Black Flame to burn bright inside your spirit, as it was Satan's gift to you before you were born. To those He has chosen, He has instilled it within—let its essence fill, devour, change, and define you. 16. Establish your own days of celebration. It is your choice who and what you honour. Conform no longer to what is written on the calendars of the world. 17. When asking Satan to change your life, be specific; or expect your total foundation to be shaken. 18. Awake from your dormancy. The amount of time already wasted will cost you a great deal. From the deep recesses of your mind, the clash of cymbals announce Paimon's arrival. His unwavering allegiance to Satan is an example to all, and may it move you to do great things for the Master. Prepare yourself! 19. Keep company with those who empower you; who believe that you can, and will, rise to greatness. Don't waste another second of your life on those who will tear you down every chance they get. 20. Concentrate on YOUR relationship with Satan and the Demons. The connection that others have with them is of no concern to you. Don't be like the Christian who meddles in the spiritual affairs of others, only to end up spiritually dead. In the end, every Satanist greets Satan alone. 21. Know what your Will is and exercise it. Do not let anyone twist your Will to conform to theirs, and never give anyone your power. 22. A simpleton is quick to deny the spirit world, yet if they could see what truly goes on behind the scenes, it would change their way of thinking, and living. Movies and the discharge from the mouths of people who only believe what they have read from a book are cheap adaptations of what truly is. Numerous people want to know and understand, but only a very few want to go further—to cross the great abyss, or even further—to enter it. 23. Satan rewards those who take risks. The things you do for Him do not go unnoticed. 25. The man who roams the Middle East amidst the rubble and abandoned temples in search of his true god, makes the wiser choice than the man who roams the streets in North America searching for his next fix. 26. Stop seeing through your eyes alone; instead, ask Satan to see through His. 27. The valleys in life are many. When you fall so far down that it seems as if there is no way out, look within, and see yourself for who you truly are. It is time to develop the courage you always knew you had, and build strength from what you have lost. Empower your mind, and have confidence that you can get through anything. 28. Don't let age stop you from accomplishing your dreams. No one is ever too young or too old. 29. Out of the corner of your eye, a shadow figure moves slightly. AGALIAREPT! A book appears in your mind, then another, and another- literature, notably the classics written over a hundred years before. You may not like the old style of writing, but he impresses upon you their importance. His wise counsel leads you in search of such treasures, and new doors of enlightenment open for you. 30. The love a Satanist has for Satan reaches to the deep realms of the soul. It is a love greater than they will ever feel for anyone else. There is no compromise. 31. Stories of impending worldly disasters will always emerge; don't believe them, as no one holds the key to the future. 32. If you ask Satan to protect you, don't grieve when He removes people from your life. He knows their true intentions and motivations; if they are delusive, He will protect you by whatever means necessary. 33. Take time for solitude—as the world and its schemes will eventually overwhelm you. 34. When a fellow Satanist needs help, offer encouragement, and assist them when needed. Don't use their suffering at the gossip table in hope that it will score you points with their enemies. 35. 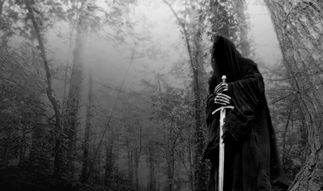 A hooded figure places a silver chalice in your hand. The number fifteen adorns one side and on the other, a black flame. In a raspy voice He whispers, “Partake of my essence.” It is warm to the touch, and inside a red liquid glistens. You have followed Him for years, but have not accepted Him completely—it is time. 36. Exist to do the Devil's work! 37. Broken bodies lie strewn across the battlefield while blood flows free, dripping into cracks in the parched ground. Standing on a cliff overlooking the destruction is a warrior bathed in moonlight. Pride and satisfaction are apparent on Abaddon's face, yet for a second there is a trace of melancholy. One day, understanding will be yours. 38. Express yourself in the way you desire most—let your soul shine. 39. Hardship will engulf you at different times in your life, but if you walk away from it still strong in your loyalty to Satan, you will have passed many a test. 40. Trust that Demonic souls exist, yet those who possess them won't be boasting about it in open places. They remain silent, confident in who they are. 41. If you ask Satan for knowledge and wisdom, be aware of His signs and accept them. Don't be quick to say He never responds, when it is you who keeps your mind so tightly closed that you cannot receive them. 42. Satanists, use your talents for Satan. If you are an artist- paint Satanic masterpieces that depict Satan the way He truly is in all His glory. If you are a writer- write at your greatest ability, and be open to what Satan might instruct you to inscribe. 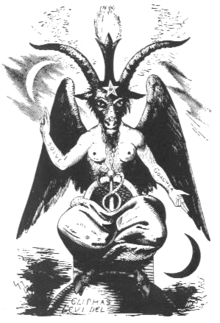 If you are a musician- compose tunes that glorify your Lord Satan, and sing the lyrics with honour and pride knowing that you are representing Satan at that moment on stage. It might be the only chance that some have of truly experiencing Satan's presence through another. Allow His message to go forth. 43. Love yourself deeply—there is no greater love. 44. Being a Satanist is not easy. You will have to go through the fire. Despite how much fear and anxiety you might be forced to endure, you have to push yourself and get through. You must do this alone. No one can hold your hand. 45. As soon as a person begs another to save their soul, they need not worry anymore—for they have already lost it. 46. While comfortably sitting on the pedestal that you have put yourself on, it is easy to look at another and judge them for how they live their life. You could never be like them, and their appalling circumstances could never happen to you—or so you think. You feel a sudden rebuke in your spirit, and Dantalion shows you that you are more like them than you realize and that pain and suffering have no prejudice. As he reveals to you their thoughts and day-to-day struggles, you come to understand that most people want the same things in life, and that nothing can replace happiness, love, peace of mind, and the knowledge that as an individual you are making some kind of difference in the world. Hail Dantalion! 47. 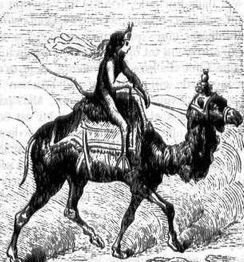 Revere Satan for who He is, not what you want Him to be. 48. Take everything into consideration before instigating wars or fights. Know when to raise a fist and when to walk away. Satan teaches honour and sound judgement—heed His words. 49. Don't be afraid of your power. 50. If you say that you believe in Satan, then give Him your entire devotion. There should be no one else that you bow before, no one else that you kneel to, and no one else that you call your master. To do so would be foolish. 51. Keep your mind focused on your Will no matter how busy life may become. Resurrect the dreams you had as a teenager. The ones that dominated your thoughts as you sat alone in the stillness of the night. They matter as long as you are alive; pursue them, as your true Will never dies. 52. As each day passes, it is one step closer to seeing Satan in all His might. 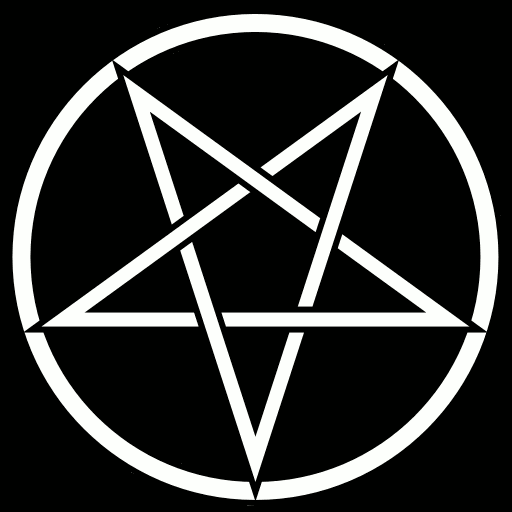 The utmost goal of the Satanist is to strengthen their connection to the Dark Lord and learn His ways. Not from others—but from Satan himself. 53. Make every day count for something. 54. Speak your mind and write what is in your soul. Don't let anyone take your sword away from you. 55. Alone by the lake you gaze at the darkened sky. You tremble, but knowing the pain will be over soon gives you a sense of peace. You step into the cold water, and the tide comes up to meet you. It is time. 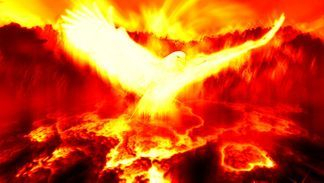 Suddenly, the water begins to boil, and a gigantic bird of fire rises to meet your eyes- it is Phenex, a Great Marquis. His splendor surpasses everything you have ever imagined, and you bow your head in reverence. He approaches you and speaks in the beautiful voice of a child. “Priestess of Satan, we know of your pain. You possess the strength to endure the harshest of tragedies, and through pain you will acquire insight into many needed things. Satan has His eye on you—know this. Now rise, rise from the ashes and fulfil the oath you made many, many years ago. You have much work to do.” Tears pour down your face as you watch Phenex ascend into the sky. His words have penetrated your soul, and you turn and walk back towards the shoreline. You will not allow pain to destroy you, but will become the priestess you were meant to be. 56. Never assume that you have found the complete truth. There is always something to discover, an idea that will challenge your way of thinking. Be open to it, and wisdom will come to you. 57. Even the best warriors wear armour. 58. Many will come against you, even your own family and friends. Be prepared, and never let anyone take the upper hand, for that is when the battle will be lost. Your essence should be enough to make people aware of how little power they have. 59. Instead of empty boasting about who you are going to curse—remain silent, and get the job done. 60. Satan gives and takes away. Be grateful for both, as He cares for you and invests in your life. What might seem cruel in the present will be revealed as a blessing at the right time. 61. Teach a fellow Satanist the ways of the Master if their desire to learn is genuine. Yet never give the Master's wisdom to those who you don't feel guided by Satan to do so. 62. Make your own reality. You do not have to settle for the status quo. Reach for what you thought was impossible and make it yours. 63. Christians, Muslims, and Jews put their faith in a book for knowledge of their god. But the fact is, they can never truly know if the words are his—or simply the vomit of men. Satanists learn from Satan himself. He does not need a book or a third party to speak to His people. This in itself affirms who is most powerful and deserving of reverence. 64. Satanists are meant to be more than merely listeners. 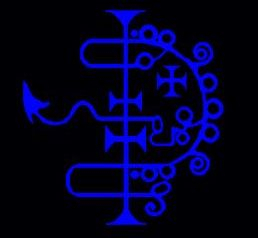 The Demons do not intend for us to be apprentices forever; they teach us so that we will put their wisdom into practice. 65. Remember when you were a child and you could sense the spirits around you, watching. Trees were magnificent in your little eyes, and you felt the vibration of their energy connecting you to nature. The night held fear of the monster under the bed, and you would crawl under the covers because you felt the presence of the unseen that you knew was there—but no one believed you. Whatever situation you are in, don't lose the magical, the excitement, or the anticipation. Open your mind and your spirit once again—and allow yourself to experience what you have long ago shut away. 66. If negativity is allowed to rule your life, it will eventually consume you—then destroy you. Rid yourself of it. 67. Words are spewed from the mouths of many, and promises and oaths are made. They are easy things to do when the future is so far away. Yet when it is time to act on the words spoken with a bloated head, many run with the hope of hiding from the Prince of Darkness—if that were possible. Discernment is wisdom made manifest. 68. Satanism can only be defined—by Satan himself. 69. Illness can creep in and take over unawares, so be alert for changes within yourself. Go to a place for peace and quiet, close your eyes and relax. A blue-robed figure slowly approaches you. Verrine places his weather-beaten hand upon your head, and his powerful, yet soothing energy flows throughout your body. Not only have you received healing, but you have made a connection with a Demon who knows pain very well, and who holds the secrets of life and death. 70. Know when to say good-bye. If it is said too early, you might miss out on a great opportunity. If it is said too late, then a great opportunity might miss out on you. 71. When the woman took a bite of the fruit of knowledge that the Serpent offered, it changed the course of humanity. Yet although Eve made the very first choice, it is not enough—we must partake of the fruit ourselves in order to awaken in our own lives. 72. The closer to Satan you become, the more fulfilled you will be. When His essence fills your spirit—then you have reached ecstasy. 73. To kiss someone on the cheek, followed by the words 'I love you,' is the worst kind of deception if you turn and walk away with money you have stolen from them clenched within your fist. Family should be a place of refuge, not a battlefield. 74. Ponder the present. Be wise in your choices. As what you do today, will be the foundation for your tomorrow. 75. To speak the name Asmodeus—and mean it, can spin your foundation into chaos. If your motive is lust, dark desires will consume you, setting your loins aflame. If it is anger, your heart will burn till it is drained of emotion. Be ready for this great Demon to set before you exactly what you long for, so be pure in your request. His power demands respect and his love is fierce. He belongs to no one. 76. Satan's Will cannot be defied. He will manifest His wants. He will initiate events. He will cause many to fall and die, and many more to serve Him. Who are we to interfere? May Satan be forever glorified. 77. As children grow older, allow them some leeway to make their own decisions. If you crush their Will, you are no better than the tyrant god. 78. In a time when war is uncertain, call out to Eligos and listen for the sound of hooves as he makes his way through the chaos of your thoughts. Ask him to reveal the truth of what is seen and unseen. To rely only on information given by man is naive, as things are not as they appear to be. 79. People will do their best to destroy you if you are making a difference in the world. Envy and jealousy will take over when they realize they can never be like you. Stand tall, and laugh with the knowledge that one day they will be like a dead leaf on a tree that will eventually blow away—and be trampled underfoot. 80. If one abandons their belief in Satan because of another person, it shows they were never a true devotee to begin with. To trade an eternal relationship with Satan- the Primordial One, for a temporary connection with a human being, is the most deplorable decision that one can ever make.